On the southside of the California Lutheran University, sits the old Peterson homested. The original home for the Pederson family which was later donated along with several hundred acres to the Lutheran’s to build the college. The above painting was done this week in hopes to be of interest to a buyer at the annual CLU fundraising dinner and auction. 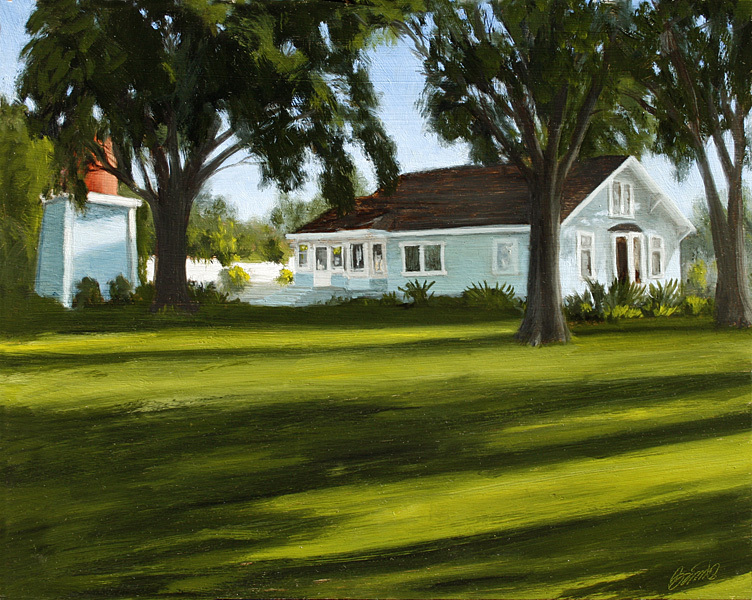 I have donated the painting a portrait of someone’s house or garden. This will be the first time I have done a sight-unseen offering. I’ll tell you how it goes.